WASHINGTON — The Supreme Court on Wednesday heard oral arguments in three cases on the rights of foreign-born permanent residents of the United States, two of whom face deportation and a third who was denied re-entry after traveling abroad. The US government has been deporting record numbers of non-citizens — nearly 400,000 a year since 2009, according to the Department of Homeland Security — and legal challenges to these removals have been on the rise. Under US law, legal permanent residents that hold “green cards” can live and work in the United States with few restraints, but can be deported under certain circumstances. In most cases, to avoid deportation lawbreaking permanent residents must have been legal residents for at least five years, have continuously lived in the United States for seven years, and not been convicted of an aggravated felony. The court first heard two consolidated cases — Holder v. Gutierrez and Holder v. Sawyers — both of which challenged the Department of Justice?s decision to deport them. Carlos Martinez Gutierrez moved to the United States with his parents when he was five, and his father became a legal permanent resident when the defendant was seven. In 2003 Martinez Gutierrez, now 19, became a legal permanent resident. Martinez Gutierrez argued that his father?s immigration status and years of residence could be taken into consideration in meeting eligibility requirements to avoid deportation. Sawyers also appealed his removal, arguing that the time he spent as a minor living under his legal resident mother should be considered. “It is always true… that immigration officials have the discretion not to bring removal proceedings in the first place (or) terminate removal proceedings once they have begun,” Assistant Solicitor General Leondra Kruger told the justices. “Current immigration and customs enforcement guidance makes clear that a minor receives particular consideration within the totality of the circumstances” in determining whether discretion is applied, she said. In a separate case, Greek-born Panagis Vartelas came to the United States in 1979, married a US citizen, became a legal permanent resident in 1989 and has has two US citizen children. Vartelas however was found guilty in 1994 of counterfeiting traveler?s checks, and was sentenced to four months prison. In 2003 Vartelas traveled to Greece, and upon return was told that he would be deported under the 1996 rules because he had been convicted of a “crime of moral turpitude” — even though he would not have been deported had not traveled abroad. Vartelas’s lawyers argued that the law should not apply retroactively. The court this session is handling several immigration cases, most prominently Arizona v. United States on the authority of states to regulate immigration, which under the US constitution is the responsibility of the federal government. DENVER (AP) — In a trial of a politically divisive program, U.S. prosecutors in Denver and Baltimore are reviewing thousands of deportation cases to determine which illegal immigrants might stay in the country — perhaps indefinitely — so officials can reduce an overwhelming backlog by focusing mainly on detainees with criminal backgrounds or who are deemed threats to national security. Federal deportation hearings for non-criminal defendants released from custody were suspended Dec. 5 for the review and resume this week. Similar reviews are planned across the country to allow U.S. Immigration and Customs Enforcement to target deportations of illegal immigrants with criminal records or those who have been deported previously. While the immigration courtrooms in Denver have fallen silent, prosecutors had time to examine case files, check residency history — such as whether someone was brought to the country as a child — as well as criminal history. In Denver, 25 ICE prosecutors and three managers spent their work days during most of December and early this month poring over as many files in their case load as possible, ICE spokeswoman Barbara Gonzalez said. Officials have not released information on how many cases will be placed on low priority based on the review. When they’re finished, cases of those here illegally but deemed not a threat to public safety or national security will be placed on administrative hold and the numbers will be released. Citing tight budgets, Homeland Security Secretary Janet Napolitano announced this summer that nearly 300,000 deportation cases would be reviewed to determine which could be closed through “prosecutorial discretion.” Republicans have decried the policy as a back-door way of granting amnesty to people who are living in the U.S. illegally. “We simply cannot adjudicate all these cases that are pending,” said spokeswoman Gonzalez. Some cases in Denver date to 1996, she said. Several attempts at immigration reform have failed in recent years, including the so-called DREAM Act, which would have allowed some young illegal immigrants brought to the U.S. as children to earn legal status if they went to college or joined the military. In June, ICE director John Morton announced that prosecutors and immigration agents would consider a defendant’s length of time in the country, ties to the community, lack of criminal history and opportunity to qualify for some form of legal status in deciding whether to press for deportation. Denver has about 7,800 deportation cases pending, while Baltimore has about 5,000. Hearings and deportations involving criminal immigrants continued in both Baltimore and Denver. The suspended hearings dealt only with non-criminal defendants. Before expanding the program, officials will examine the effect of the review on caseloads. They are also seeking to balance hearing high priority cases with those in which a person might have a strong case but has waited years for a hearing because of the backlog, said former Immigration and Naturalization Service commissioner Dorris Meissner. Those who offered prosecutorial discretion don’t have to accept, and can insist on having their case heard by a judge. For some, word that their cases have been postponed brings relief — but not closure. They’re still in the country illegally. Jesus Gerardo Noriega, 21, of Aurora, Colo., said he learned in December his case was being closed. Noriega’s family brought him to the United States from Mexico when he was 9. His parents and three brothers live here legally, and he graduated from high school — but only applied for a work visa last year. He faced deportation after being arrested in April 2010 for driving with no license plate light. Deportation cases have risen sharply since 2007, when Homeland Security began using fingerprints collected from those held in local jails to identify and deport criminals and repeat immigration violators. Those cases increased from about 174,000 in 2007 to about 298,000 in 2011, according to figures compiled by the Transactional Records Access Clearinghouse, a research group affiliated with Syracuse University. Immigrant advocates have blasted the fingerprint program, called Secure Communities, for subjecting people to deportation after minor traffic infractions or misdemeanors. Some state laws require police to notify ICE of suspected illegal immigrants. But advocates say they welcome the federal review as a way to deal with a sluggish immigration court system where cases can linger for years. During the pilot program, Denver and Baltimore immigration judges were assigned to hear detainee cases elsewhere. This is an inspiring documentary on the search for a cure of the deadly disease AIDS. It touches on the progress on the ground and the efforts being poured into research to help in the search for a cure. Capital Talk’s Jeff Koinange hosts the former Justice and Constitution minister Martha Karua on “The Bench”. Karua is aspiring to be the first woman president of the Republic of Kenya in the upcoming elections. BLANTYRE, Jan 18 – Malawi’s police have arrested a gang that had been terrorising trouser-wearing women in the capital Lilongwe by stripping off their clothes, a spokesman said Wednesday. “We have arrested 15 thugs from Lilongwe city who terrorised women by stripping them of their trousers or shorts,” regional police spokesman John Namalenga told AFP. “Their motive was to steal from the women,” he said, adding that riot police were now patrolling the streets to prevent more attacks against women. Namalenga said the suspects would be charged with conduct likely to cause breach of peace and theft. Until 1994, women in this deeply conservative poor nation were banned from wearing pants, during the long dictatorship of Kamuzu Banda. “This is retrogressive and a step backwards for democracy and human rights as people are free to wear what they please,” national police spokesman Davie Chingwalu said. He said it appeared the men wanted “to bring lawlessness” to the city. Similar incidents were reported in the small northern town of Mzuzu, where unemployed youths terrorised women wearing trousers. Malawi is battling high unemployment rates and is facing an economic meltdown that caused fuel and foreign currency shortages. It was New Year’s Day and everyone was ready to usher in2012 instyle having prepared delicious meals while others planned to party the whole day. But Victor, an M-Pesa agent, had planned to usher in the New Year working at his shop. He expected that many of his customers would make withdrawals of cash sent by their relatives who would not make it up country to celebrate with their kin. While in a conversation with friends, a customer interrupted and asked if he could deposit Sh5,000. That sounded a good start for Victor. Victor and his friends went on with their village stories about Christmas celebrations in Nyalenda village as he served his customer. The customer got attracted to the name of their village while he heard it being mentioned. He told them he came from a neighbouring village. He claimed that he studied at the local secondary school adding that he was the son of the local councillor. Then the customer beckoned Victor aside for a private chat. He told Victor that he was able to print money real Kenyan currency. However, he said he needed someone who he would trust to partner with so that they can make more money. He asked Victor to lend him Sh30,000 which he could use in the making of Sh60,000. He showed Victor some chemicals, which he explained was used for making currency notes. He promised to give Victor Sh30,000 as a token of appreciation besides returning his Sh30,000. Victor got interested in the deal as he started thinking of how he would be Sh30,000 richer. To make Victor believe that he wasn’t a con man, he asked him to give him a Sh50 note which in about five minutes he had used it to make a replica which looked genuine. He gave it to Victor who marvelled at how real it looked. Victor decided his need for money was solved and went straight into the deal. Without telling his friends what was going on, Victor reached for his bag and pulled out Sh30,000 which he handed over to his newfound friend. He had been promised that his cash would be returned the following morning at 7am. He knew by then his employer wouldn’t have come to monitor the business. Victor imagined how he would purchase some school items as he prepared to join college later in the year. As the night approached, everything seemed not to move as fast as usual. Due to the anxiety of getting the money, the night seemed longer than usual. He had to wake up several times at night hoping it was daybreak only to find it was still late at night. But it would take him longer to get back to sleep as he imagined the money he was going to make easily. When dawn finally came, Victor was deep asleep out of exhaustion. He was, however, able to wake up earlier than usual and rushed straight to shower. He then had his breakfast before he left his house to meet his contact. Victor opened the shop earlier than usual and waited for his newfound friend. Friends who passed by to say hello to him were quickly but cleverly dismissed since he didn’t want a situation where his deal would be interrupted when his contact arrived. At the appointed time, his contact was yet to arrive, but this did not alarm Victor because he knows that many people are poor at keeping time. But 30 minutes later, he lost patience and called him on his cell phone to know where he was. He picked his phone and apologised for being late but promised to be at the shop in the next 30 minutes. Almost an hour later, he had not arrived and Victor started panicking. He decided to call him again just for updates. He was shocked when he could not reach him on the phone. He tried several times but the call could not go through. He started sweating and confusion reigned. He realised that he had been conned. Looking back at their chance meeting, Victor realised he even did not verify that he was the son of the councillor he claimed was his father. His employer was to arrive from Nairobi later that day to audit his accounts. He didn’t know how to explain the loss of Sh30,000 from his float. He revealed his folly to some of his friends. When his employer came, an embarrassed Victor told him the whole truth. Since it was the first time he had lost money since he was employed, his employer was convinced but he decided that the money would be deducted from his salary for several months until it was fully paid. 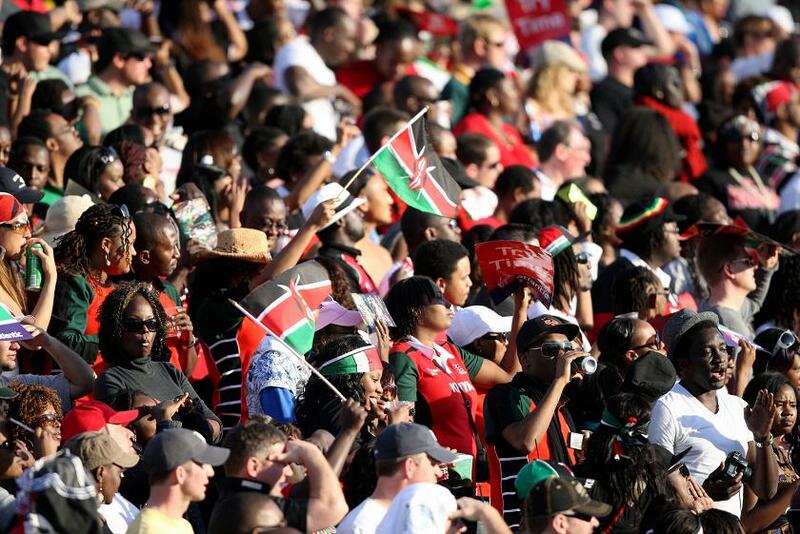 As the debate on when the general elections should or should not be held rages, Kenyans in the Diaspora are adding their voice to the mix. A number of Kenyans living in the United States are appealing to the two principals to listen to the wishes of Kenyans. And as our US based correspondent BMJ Muriithi reports, most of them are using the social media to express their opinion. Mugo Flies Out to Seek Medical Care in the U.S.
Public Health and Sanitation minister Beth Mugo left the country last Friday to seek preventive cancer treatment in the United States. The medical care is meant to hinder recurrence of breast cancer that she was diagnosed with last year. The minister was accompanied by her personal assistant Rossalind Murimi, and two close relatives. Mrs Mugo’s physician, Dr Robert Mathenge, told the Nation that the disease was diagnosed at an early stage and that she had since undergone further evaluation. The heart specialist at the Equatorial Heart and Blood Vessel Clinic confirmed that his patient would be away for several weeks. “I would, however, appeal to Kenyans, especially the media, to let her have treatment peacefully,” he said. The ministry’s permanent secretary, Mr Mark Bor, said that the minister’s visit to the US was private and could not comment on the issue. Sources within his docket alleged that the trip cost the ministry Sh27.5 million, which Mr Bor also refused to comment on. One of the people who accompanied Mrs Mugo is said to be her bodyguard but police headquarters said that they were not aware of that. Deputy police spokesman Charles Owino said that so long as the officer had acquired the necessary clearance from the Office of the President, he was free to accompany the minister. In 2005, MPs reviewed their medical cover to include two spouses and eight children, implying that they could be admitted to any hospital in the world recommended by their doctors. The government recently opened cancer management centres at Homa Bay and Webuye district hospitals. The Cancer Prevention and Control Bill, if passed will decentralise cancer treatment facilities further so that Kenyans throughout the country can access proper care. NAIROBI, Kenya, Jan 18 – A consultancy firm that monitors Kenya’s reconciliation progress following the deadly 2008 post election violence now says the country is not ready for general elections. In a report to the Kofi Annan-led mediation panel of Eminent African Personalities, South Consulting notes that new electoral boundaries are yet to be demarcated as the clock ticks towards another poll in Kenya. The report further questions the possibility of rolling out civic education in time to ensure Kenyans understand the new electoral process. “Uncertainty remained on key constitutional issues, including provisions on gender balance and the delimitation of constituency boundaries, the absence of comprehensive civic and voter education and the lack of institutionalization of political parties to date,” it indicated. According to the report, it is important for Kenya to deal with the post election violence saying that most people were interested in justice, citing a poll where 64 percent are in support of the International Criminal Court (ICC) process. “Public support for the ICC remains high, although lack of consensus in government about how to respond to the ICC investigation and whether to punish or grant amnesty to middle and lower-level perpetrators of the post-election violence sent mixed signals about dealing with impunity,” the South Consulting report says. The panel of former UN Secretary General Kofi Annan received and reviewed the report which further recommends justice for the victims and also ensure those responsible for the crimes committed face the law. It explains that it will not only cement peace in the country but also be a crucial point in addressing impunity. The team further called for political support to the Truth, Justice and Reconciliation Commission (TJRC) and National Cohesion and Integration Commission (NCIC) to ensure there is peace and healing ahead of the general elections. The mediators also discussed concerns that peace efforts did not enjoy stable support to ensure the country would reconcile differences linked to the 2008 post election violence. “Reconciliation and social harmony in areas most affected by the post-election violence remained fragile and that the lack of political support for peace and reconciliation efforts by the government and non-governmental organisations had created a climate of silence and suspicion,” the report read in part. It was however noted that the constitution implementation process was on track but pointed at delays in production of legislations which was likely to lead to rushed enactment of laws without giving the public an opportunity to scrutinise them. The report also showed there was need for fast tracking and financing critical Bills on devolution to ensure county governments are set up as stipulated in the Constitution. After discussing the report, the Kenya National Dialogue and Reconciliation (KNDR) team urged the government to ensure its recommendations are fully implemented. They agreed they will meet again in April to continue discussions with their agenda on Kenya. KNDR is a team of eminent personalities comprising Annan, former Tanzanian President Benjamin Mkapa and Graca Machel, wife of former South African President Nelson Mandela. The team is remembered for having mediated talks that led President Mwai Kibaki and PM Raila Odinga to form a coalition government, ending the violence that led to the deaths of over 1,300 people and displacement of more than 350,000 others. MOMBASA, Kenya, Jan 18 – Seven suspected members of Somalia’s Al-Shabaab network have been jailed for two years each after they admitted to being in Kenya illegally. The Somali nationals were arraigned in court after they were arrested in Lamu District last month. Ali Abdullah Mohamed aka Dobley, Sharmake Ahmed, Mahdhi Abdulle, Abdikarim Jelani, Mohamed Ali, Abdillah Mohamed Abdinoor and Baba Ahmed appeared before Principal Magistrate Richard Kirui on Wednesday. The seven foreigners were charged with being in the country without a valid permit after they were arrested at Mvundeni village in Mkokoni area of Lamu. The accused however denied five other charges of preparing to commit crimes after being found with firearms, incendiary materials and offensive weapons that included AK 47 rifles, five hundred and one rounds of 7.62mm bullets, 21 AK 47 magazines and a ladder. The accused were also charged with being in possession of firearms contrary to section 89 of the penal code and also faced another charge of being in possession of firearms without valid certificates. The hearing for the charges which they denied is set for February 2.